ST. PETERSBURG, Fla. - Flying Amity of Everett Racing kennel passed two rivals in the final strides and won the $10,000 Thanksgiving Stakes on Saturday at Derby Lane. Flying Amity, a 47-month-old female from a litter by Hi Noon Hero and Flying Blush, defeated pace-setter Flamenco Dancer of Farmer Racing by a half-length at 14-1 odds. She paid $30.60 for Derby Lane's highest stakes win mutuel in the past 16 stakes. Winning time on the 550-yard course was 30.80 seconds. It was the first stakes championship for Flying Amity, and the first stakes title at Derby Lane for kennel owner Kelly Everett and trainer Kelsie Gubbels. Everett Racing is Derby Lane's leading kennel. Flamenco Dancer finished a nose in front of 4-5 wagering favorite and meet win leader Jiminy Reno of Cal Holland kennel for second. Flying Amity, breaking from the No. 4 box, was last in the eight-dog field on the first turn. She picked off rivals on the backstretch, and moved into third place in the final turn. Flamenco Dancer and Jiminy Reno raced stride-for-stride for most of the stretch until Flying Amity drove past them on the outside approaching the finish line. Bred by her owner, Vince Berland of Abilene, Kan., Flying Amity earned the first-place prize of $4,500. Dutch Vodka (Lester Raines kennel) was fourth followed by LK's Crush N It (Lashmet), SE's Wepon X (Nova), Katie Clawson (Capabal) and Kentucky Boy (Cal Holland). 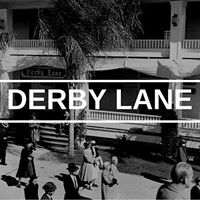 The Thanksgiving Stake was Derby Lane's final 550 stakes of 2018. The $70,000 Holiday Distance Challenge, a 660-yard series, wraps up the meet's stakes schedule on Dec. 8-22.